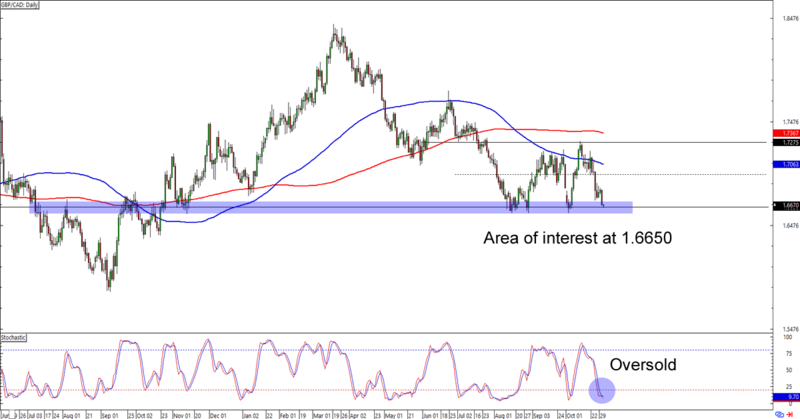 It’s all about the Loonie on today’s canvas, as we look at forex trading opportunities presented by AUD/CAD and GBP/CAD’s charts. Get ’em while they’re hot! Resistance alert! AUD/CAD is having trouble breaking above the .9350 area, which not only held as resistance in mid-October but also lines up with a falling trend line that hasn’t been broken since late June. 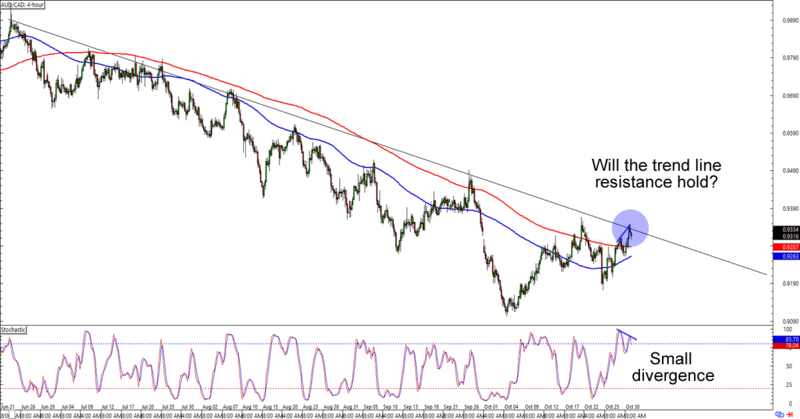 A short trade at current levels could get you in on the downtrend at a good price especially if you think that AUD/CAD will make new lows this year. If you’re not a fan of the Loonie, though, then you could also wait for a break above the .9350-.9400 areas before placing your buy orders. Whichever bias you’re trading today, make sure you practice good risk management when you execute them trading plans! GBP/CAD is about to hit the 1.6650 psychological handle, which is right smack at a range support on the daily time frame. What makes the setup more interesting is that stochastic has just reached oversold territory. Ready to trade the pound today, homie? A long trade at the earliest signs of a bounce could give you a good reward-to-risk ratio especially if the pair shoots up to the .7275 range resistance. If you’re not feelin’ the love for the pound, then you could also wait for a break below the area of interest that we’ve spotted and trade a downside breakout instead. Watch this one closely, fellas!